Every year holds a different story for real estate. 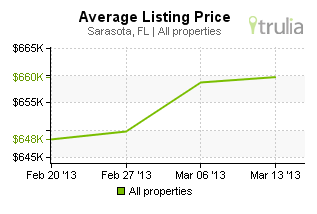 In Sarasota, we’ve had our ups and downs, but as of 2013 we are happy to report a rebound in home prices. 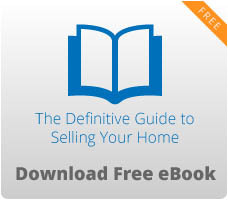 Since 2010, real estate has visibly shifted into a “seller’s” market. Inventory of houses may be low, but when a house does sell, it sells for a premium price. People’s fears of not getting what their home is worth are starting to die out, especially in Sarasota. Dozens of home buyers are on the hunt, looking for their dream home to retire into. The only problem is there are few houses to choose from, which is why selling now is a great decision. Buyers are making great offers on homes because once they find a good home, they know they will have a hard time finding it again. Plus, if a buyer does make a low-ball offer, the seller will have plenty of other offers coming in. They don’t need to worry about their house sitting on the market and not getting attention. 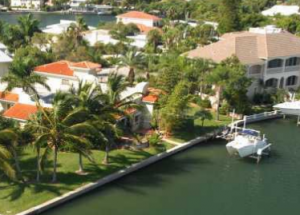 Homes in Sarasota are being snatched up just as soon as they hit the market. If you’ve been thinking about selling your home, this might be the right time to get serious about it. The market is in your favor and buyers are willing to pay a little more for their “dream” home. Send us your questions or concerns through the form below. We’d also be happy to give you a free market analysis. 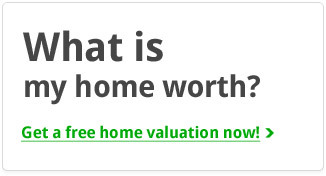 Would you like more information on selling your home? Fill out the form below!